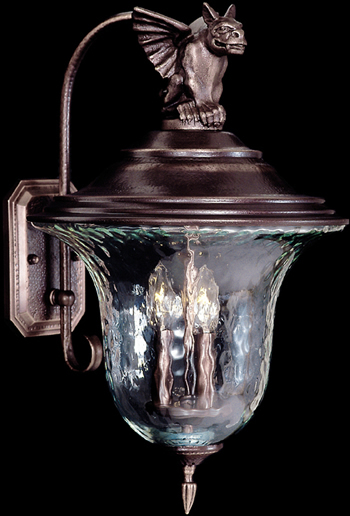 Width 12.5" x Height 21.5"
Width 14" x Height 25.5"
Width 18" x Height 32"
Mottled glass urns trimmed with crystal. 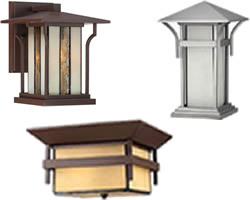 UL/CUL rated for Interior use. 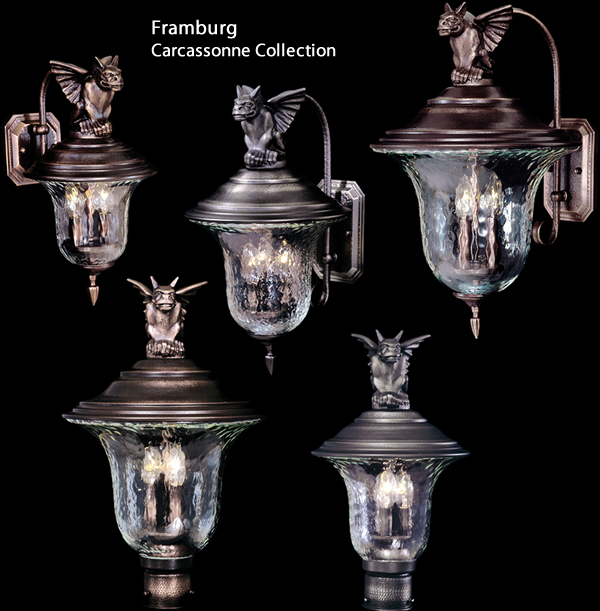 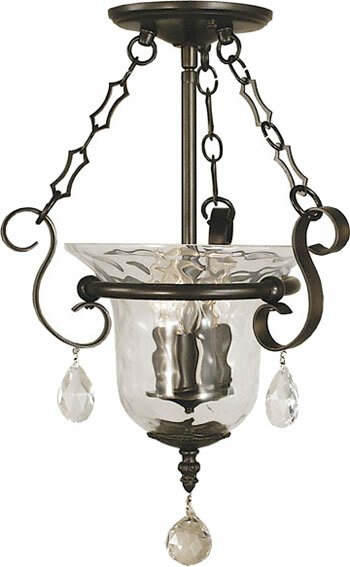 All Framburg lighting fixtures are hand made in the U.S.A.
Width 12.5" x Height 16.5"
Width 8.5" x Height 19"
Width 10.5" x Height 20"
Width 13.5" x Height 25"
Width 8.5" x Height 14"
Width 10.5" x Height 16"
Width 13.5" x Height 18"
Width 13.5" x Height 19"
Framburg Carcassonne Outdoor Collection - Hammered hand-blown glass and distressed metal are a perfect complement to the exterior textures of wood, stucco, and brick, and the glass also refracts the light disguising the bulb filament. 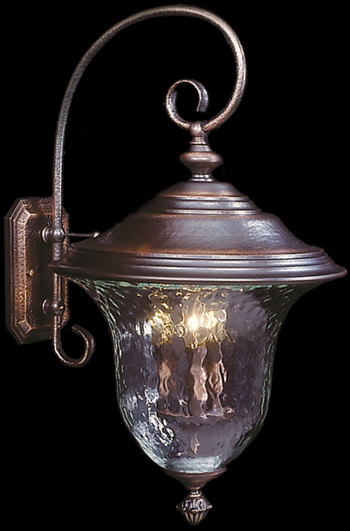 This piece is wonderfully constructed of all brass components and the distressed bronze and iron finishes, along with Raw Copper, will hold up in any outdoor environment. 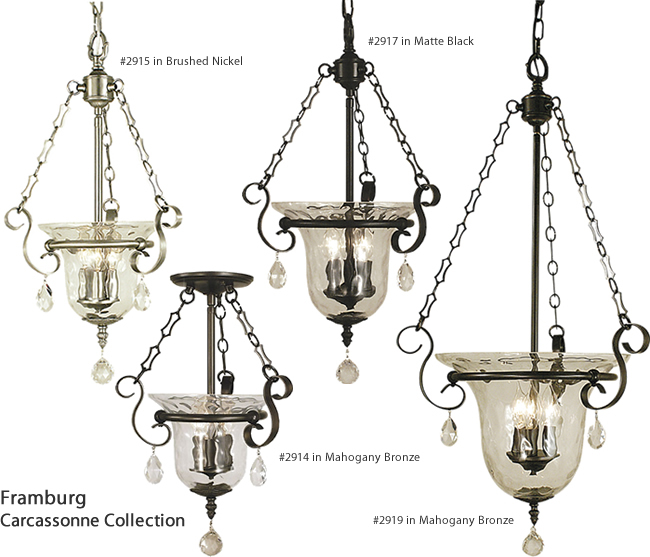 Each framburg lighting product is hand made in the U.S.A.
Mottled glass is combined with all brass components. 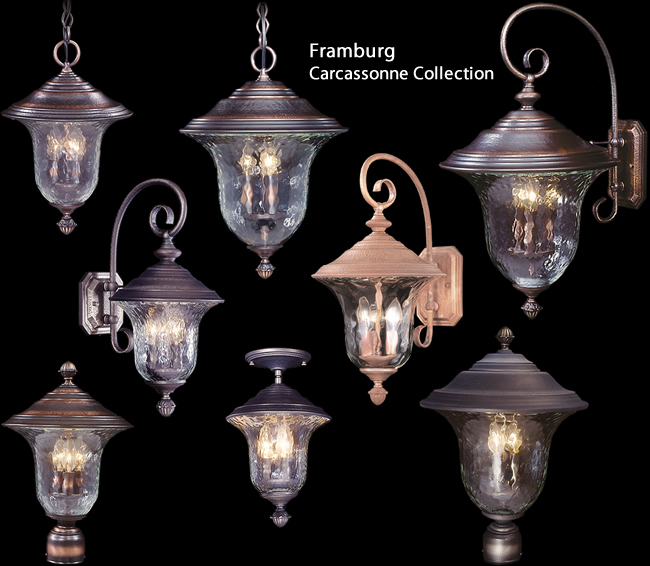 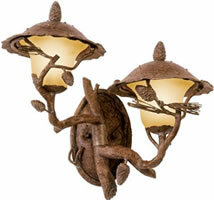 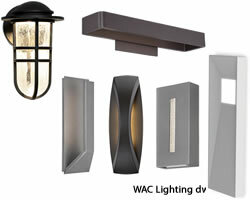 All Framburg lighting fixtures are hand made in the U.S.A. 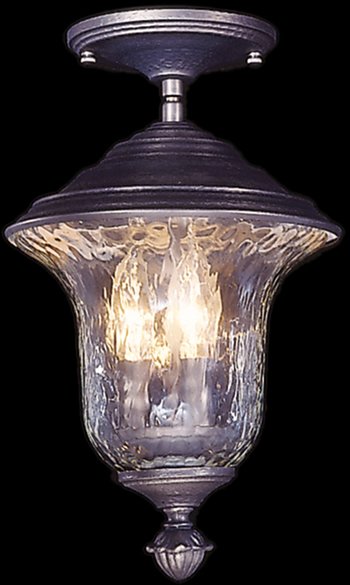 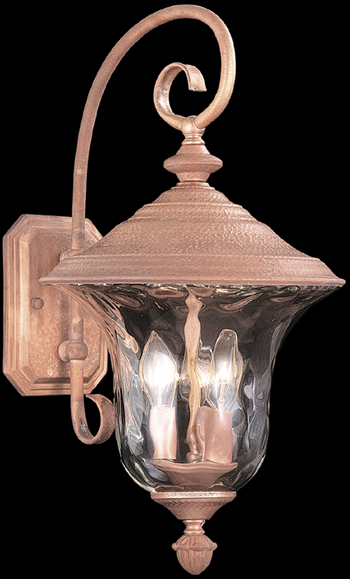 Hammered hand-blown glass and distressed metal are a perfect complement to the exterior textures of wood, stucco, and brick, and the glass also refracts the light disguising the bulb filament. 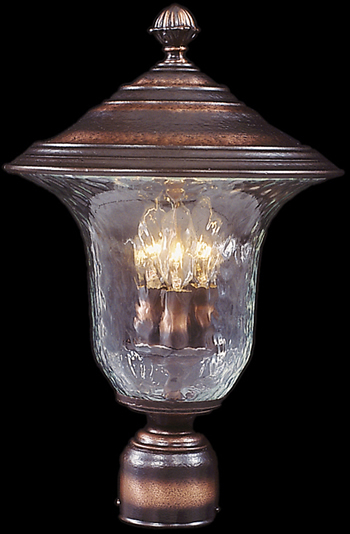 This piece is wonderfully constructed of all brass components and the distressed bronze and iron finishes, along with Raw Copper, will hold up in any outdoor environment. 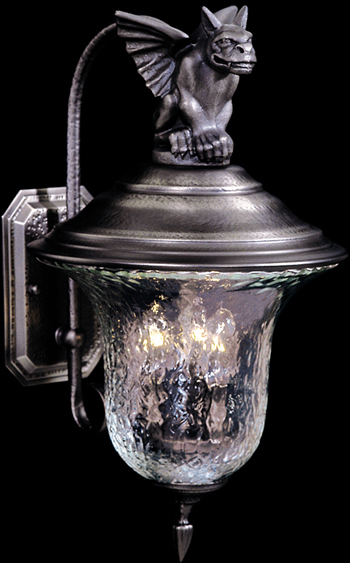 Each framburg lighting product is hand made in America. 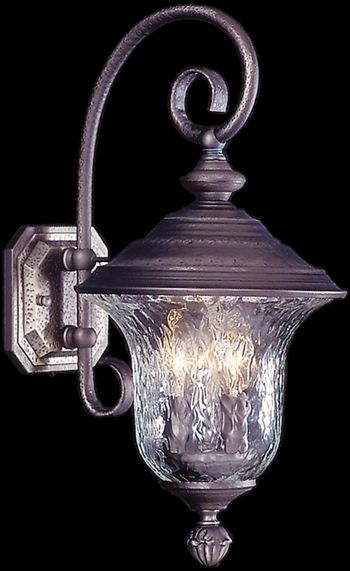 Width 10.5" x Height 19"
Width 13.5" x Height 22"